There's probably things you've done in life that you wish you could take back. Maybe you've not had the greatest responses to situations. You've lived a life of greed and selfishness. For your sins, you're thrown overboard a ship at sea. But, instead of drowning, you wash ashore in a strange land where you find the folley of your ways and look to redeem yourself. 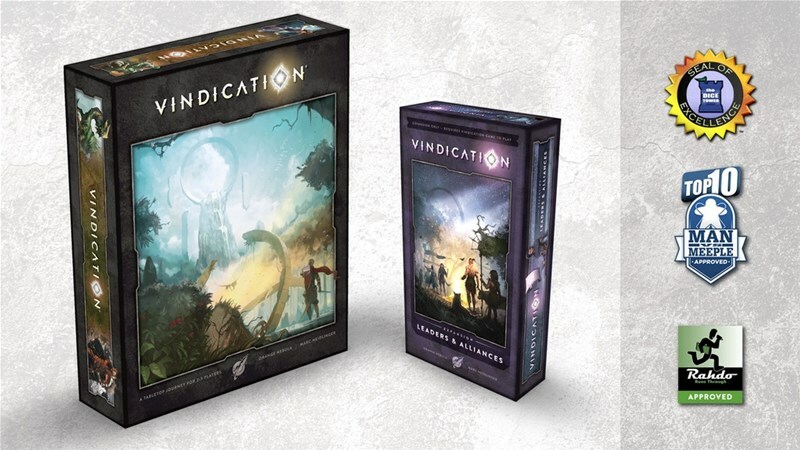 That's the story behind Vindication, a new board game, along with its expansion, that's up on Kickstarter now.